Admired Home in spectacular Daybreak Farm sits high perched on an acre amongst beautiful oak trees. Well designed for elegance and comfort, you will never want to leave Home. Soaring two story family room framed by walls of windows,letting nature in with captivating views.Open to Chefs Dream Kitchen with tall cabinets, SS appliances,granite countertops and tons of storage. First floor library, den and formal dining room. Amazing Master Retreat recently redone include Kohler Spa Bathroom with body sprays and sweet jacuzzi tub. Huge walk-in closet with quality furniture built-ins for every size. Don't miss the convenient washer/dryer here! Three family size bedrooms with private bathrooms. Full basement. Three car garage is accessible from the spacious service area and laundry room. This area is a perfect get away community within steps from highly acclaimed Independence Grove, DesPlaines River Trail. Easy access to #94 and 5 minutes to charming downtown Libertyville. 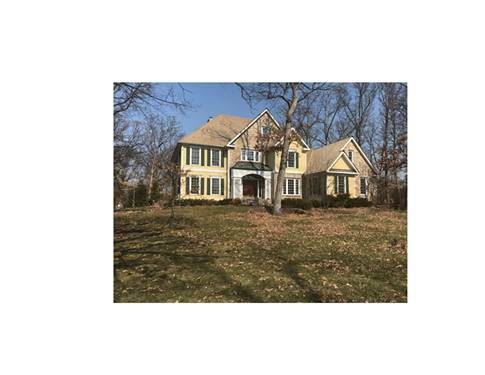 For more information about 1660 Timber Woods, Libertyville, IL 60048 contact Urban Real Estate.